I'll begin with my favorite. Tempestarii is a deep purple scattered holo. It's gorgeous and the formula was so easy to control. Coven is a berry red stunner. It has a combination of ultrafine and small hex glitters in a colored jelly base. The formula is flawless and the result is even more beautiful in person. Conjuring has the same combination of glitters as Coven, but in a rich emerald green shade. This is perfect for the holidays. 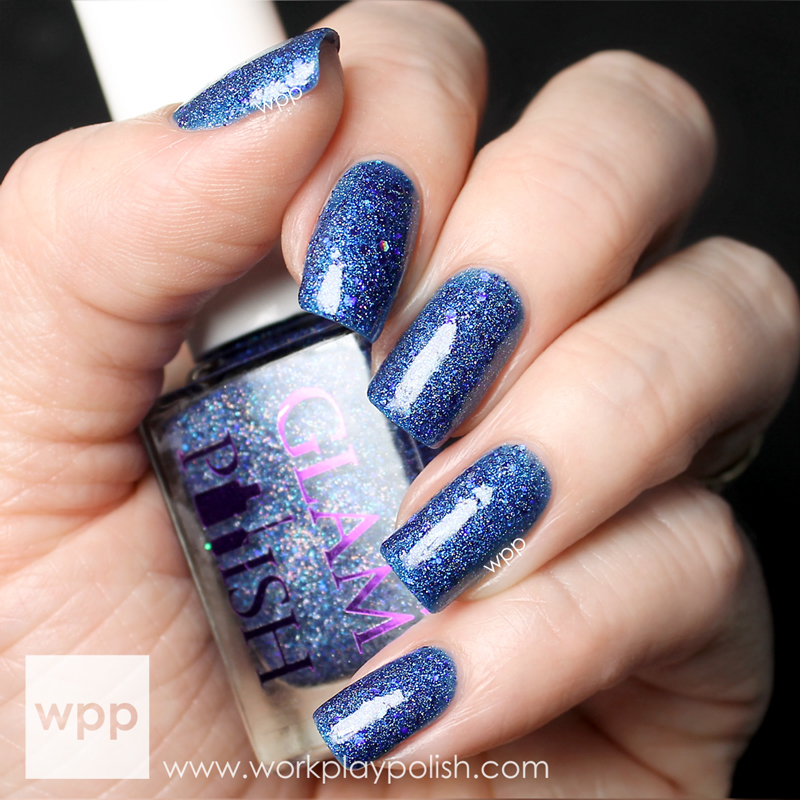 High Priestess is a bright baby blue, again with that same glitter combo. This one is sparkly and holo too, but delicate at the same time. Very pretty. I still had a slightly visible nail line after two coats which you can't really see in my photo. And lastly, I have Book of Shadows. The best way to describe this blue is Crayola blue (I looked it up even)! It is seriously the color of a Blue Crayola crayon. It's such a pretty, clean color and very sparkly holo like the rest. I'm very impressed with my first Glam Polish experience! The colors are beautiful (wouldn't they look great all together!) and the formula was really nice. My only complaint is the actual brush (not the stem) is a little longer than I prefer, but I had zero issues with application! So what do you think? Do you own any Glam Polish? Will you be picking any of these up? 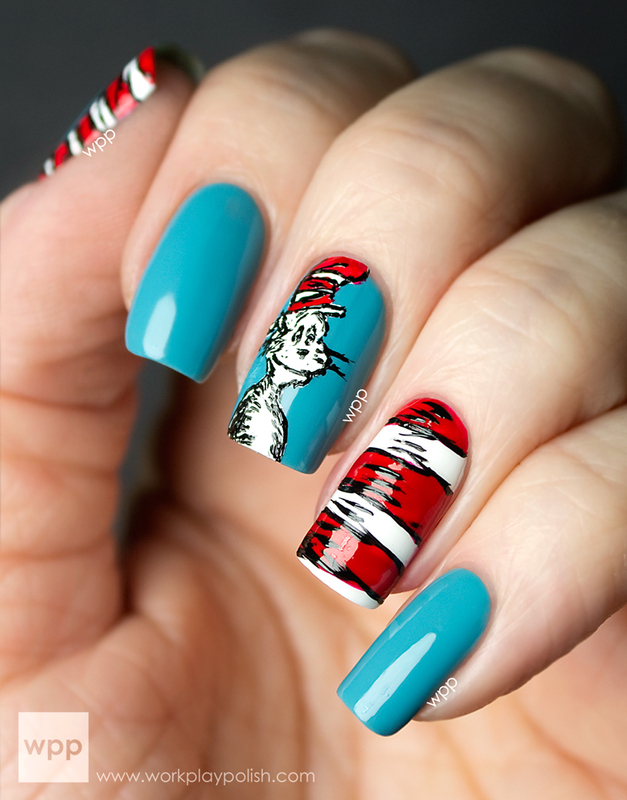 The polishes in the Cast a Spell Collection retail for $10.95 each. Glam Polish will soon be offering direct shipping to the USA! 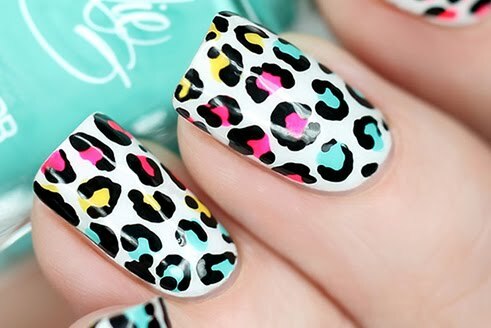 Visit www.glampolish.com.au or email glam.polish@yahoo.com.au for more info. 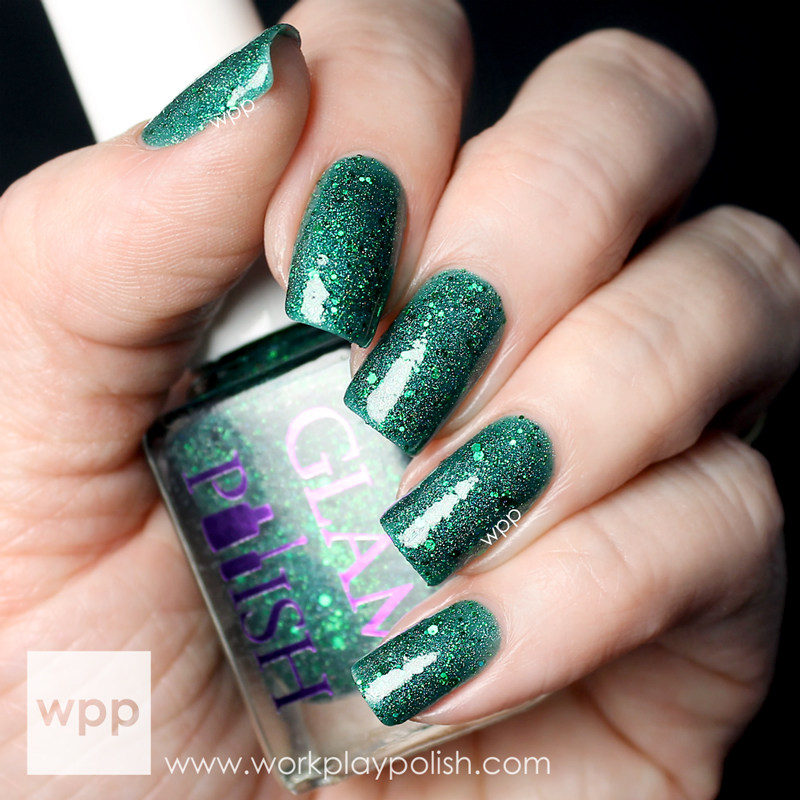 You can also purchase Glam Polish from several international stockists, including Color4Nails (USA), LLarowe (USA), Rainbow Connection (UK), Norway Nails (Europe), and Mei Mei's Signatures (Singapore). Follow Glam Polish on facebook and instagram for news and promotions!